Detailing the physical features, habits, territorial reach and other identifying qualities of the Spring Azure Butterfly. Differences in color, shade, and pattern within the Spring Azure species complicate its identification almost as much as the similarities to cousins. 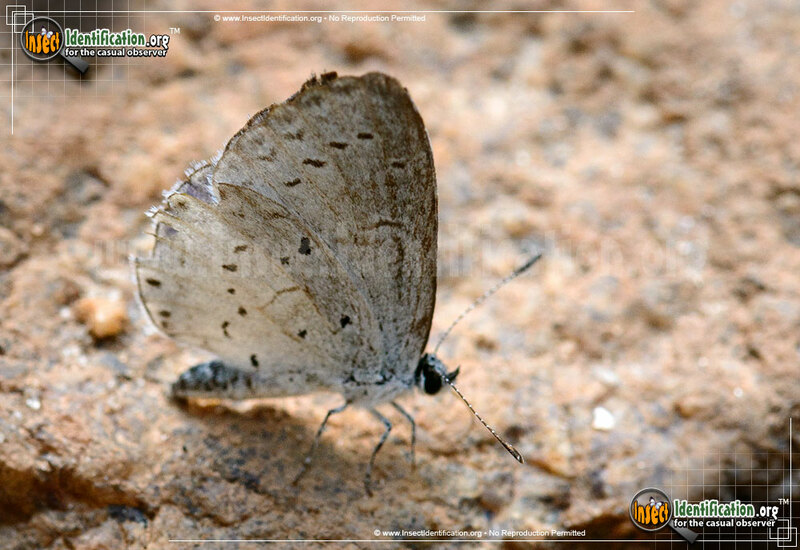 The Spring Azure Butterfly resembles many other close relatives. It differs from other species in the Celestrina genus on its underwing. There is no orange spot along the hindwing on them and its markings are thin and linear. It also has many subspecies and variations making identification a bit more complicated than other butterflies. Shades of light blue, gray, white, and taupe are all possible color variations. Males are attracted to moisture and have been found congregating at mud puddles. They have also been seen visiting streams and even moist animal dung and carrion. They typically mate in mid-afternoon and evening. Females can raise many broods in one year. Look for Spring Azure Butterflies around and along roadsides, forest edges and areas with abundant shrubs through the summer and into fall. They are attracted to lights at night. Caterpillars are shaped like wide, flat slugs, not tubes. They eat flower parts from a variety of shrubs like dogwood and blueberry, and eventually secrete a sweet substance on themselves that attracts ants. It is thought that the presence of many ants on it provides protection from predators like birds or other insects. They pupate in the ground and remain there over the winter and emerge in late April.